PHILADELPHIA, PA – April 9, 2018– Janney Montgomery Scott LLC (“Janney”), a leading full-service wealth management, financial services, and investment banking firm headquartered in Philadelphia, PA, announced that Edward Paskin, Vice President / Wealth Management has joined the Firm’s Boca Raton, FL branch office. Paskin, a 25-year industry veteran, was previously affiliated with Merrill Lynch. 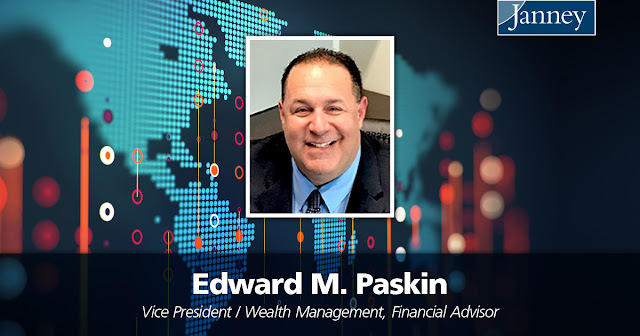 Paskin began his career in the financial services industry in 1992. He received a BA in Business with a focus on Finance from Stockton State College. Janney’s Boca Raton, FL office is located at 1875 NW Corporate Blvd, Suite 200, Boca Raton, FL 33431.